Electronic Arts Inc. (NASDAQ: EA) today marked the anticipated return of former two-division UFC champion Conor McGregor at the upcoming UFC® 229: KHABIB vs. MCGREGOR with the launch of EA SPORTS™ UFC 3 Notorious Edition. 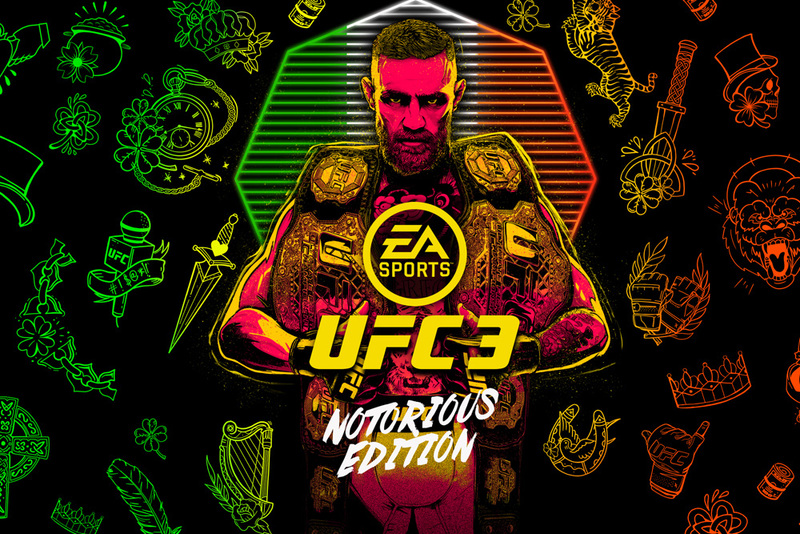 The Notorious Edition is available for a limited time and features exclusive cover art, as well as bonus in-game content including 500 UFC Ultimate Team Points, five Notorious Ultimate Team Packs and the choice of one “Champion” fighter – McGregor, former two-time UFC welterweight and middleweight champion Georges St. Pierre, former UFC flyweight champion Demetrious Johnson, former UFC women’s strawweight champion Joanna Jędrzejczyk or former UFC middleweight champion Anderson Silva - all for $29.99 USD. Players looking for a reason to get into the game Bleacher Report calls a "can't miss" and UPROXX remarks is “truly outstanding” should act fast, as the Notorious Edition is only available through Monday, October 15.